Beach time is a given in Monterey Bay, and the glorious Pacific must be experienced. The following seashore hot spots leave an indelible imprint on the heart and mind. To beach his own. Asilomar State Beach in Pacific Grove. Scenic and downright heavenly with its ethereal foggy mists, rocky coves, and pristine shoreline. Stroll or park yourself on a blanket in the sand. Relish the skill it takes for those athletic surfers to handle the large breaks. Wintertime delivers the best surf. Meanwhile, nearby nature trails allow you to stray into other dreamy outposts. Beach wheelchairs are available. This 4.4-acre landscaped community park overlooks one of the most photographed and recognized beach coves in America. Boulders align part of the shore here, while a concrete pier, snack bar, and fine dining restaurant add to the allure. The area is perfect for picnics and volleyball. The annual Feast of Lanterns festival in July delivers a memorable fireworks celebration. Picnicking and bird-watching are popular on this tranquil yet breezy north-facing beach. Don’t be put off by its mostly rocky shoreline; there are pockets of sand here, too, and the waves are something to marvel at. Enjoy a sandy beach stroll or walk around the rocks and appreciate the tide pools. Waves peak September through March, making this an ideal spot for surfers. 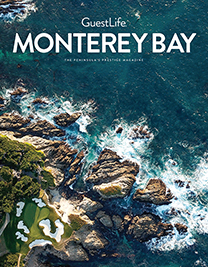 Visitors enjoy its location between The Inn at Spanish Bay and The Lodge at Pebble Beach, as well as the creative, natural artwork that can be found here — rocks stacked one atop the other by beach visitors. Have at it. The former 19th-century Chinese fishing village is now a popular spot for divers, kayakers, and boaters who come for the clear waters and ensemble of wildlife — playful otters and seals, to note a few. Heads up: Only 10 divers are allowed per day. 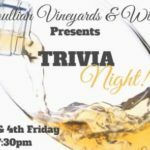 Call in advance for a reservation (831-625-8507). Kayaks are available for rent, and views of the 17th green at Pebble Beach Golf Links are a given. The white sandy beach is perfect for sunbathing. Tide-pool watchers value the ambiance. Surfers brush up on their skills. Fishermen wait for a catch. Meanwhile, scuba divers explore the underwater paradise. It’s also an ideal spot for kayakers — rent them at Adventures by the Sea. The beach itself is flat enough for a volleyball game or kite-flying session. No beach fires allowed. Locate this somewhat-hidden haven by heading toward the ocean off Del Monte Avenue at Casa Verde Way. The one-way road takes you to Tide Avenue, where street parking is available next to the dunes behind the beach. 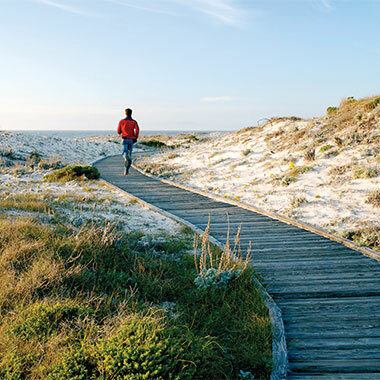 Follow the boardwalk trail through the dunes and pick a bench or picnic table for a little respite. Decide which way to wander onshore — south brings you to Window on the Bay Beach (with easy access to Monterey Bay Recreational Trail). Head north toward Houghton M. Roberts Beach and you have an opportunity to experience the full-service restaurant at Monterey Tides Hotel. This scuba diver’s nirvana is located at the far end of Cannery Row, adjacent to the Coast Guard Pier (Reeside Avenue and Cannery Row). The stellar breakpoint and the rock wall on the right, south side of the beach let divers glimpse a stunning variety of fish, crabs, or nudibranchs. Showers and restrooms are available. Perched in Monterey County’s newest park, Fort Ord Dunes State Park Beach is known for its memorable biking treks. We love the 4 miles of stunning sands backed by tall beach dunes. Look up: Hang gliders and parasailers soar above. 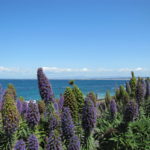 Just 20 minutes north of Monterey, this sandy hideaway for picnicking, surfing, surf fishing, windsurfing, and hiking is also great for bird-watching — with grebes, loons, ducks, shorebirds, and waders — and an ideal location for a one-of-a-kind horseback ride; make reservations at seahorseequestriantours.com. Nearby restaurants at the harbor finish off a great day. 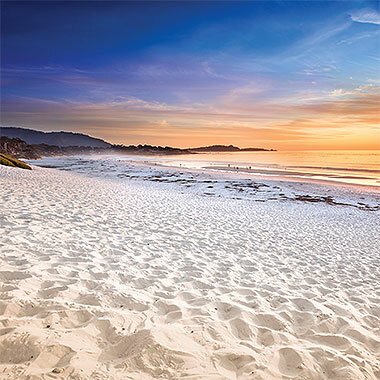 This famous dog-friendly destination boasts a stretch of lovely white sand, large surf breaks, and photo-worthy vistas of Pebble Beach to the north and Point Lobos State Reserve to the south. Volleyball is a year-round thing here. Restrooms available. No beach fires allowed. This 1-mile-long seashore features a dreamy bird sanctuary where the mouth of the Carmel River empties into the sea. Bird-watchers can spot a variety of waterfowl and songbirds. Nearby, at Monastery Beach, strong riptides stir up the shore, so avoid swimming or wading. Scenic walking trails, picturesque coves, rolling meadows, and lush forest keep you captivated. Grab a map upon entry and wander along. You’ll notice many a photographer, painter, botanist, and picnicker here, as well as a fair share of scuba divers and snorkelers. It is also the area’s most prominent arena to explore rare plant communities or endangered archaeological sites. All that and seals, festive sea otters, migrating gray whales, and the commanding presence of thousands of seabirds. Inquire about guided tours. There is a $10 vehicle fee. Garrapata State Beach in Big Sur. You’ll discover easy access to the water at the south end of this beach, located in the awe-inspiring Garrapata State Park. Tip: Several areas are clothing-optional, especially at the north and south ends where secluded spots spark uninhibitedness. Come during low tide, and the sandy cove at Garrapata Creek is fun to explore. Avoid swimming; the rip currents are often very strong. Hike the inland trails within the state park and bask in nature’s glory. Beyond the dense redwoods and 2-mile stretch of beach, the coastal hike up a 50-foot hill provides a major payoff: a stunning view of the Pacific. The coastal headlands trail at Soberanes Point is memorable, thanks to the variety of harbor seals, sea lions, and sea otters that frequent the locale. Whale watcher? Come here December through April. The California gray whales’ annual migration is quite an experience. 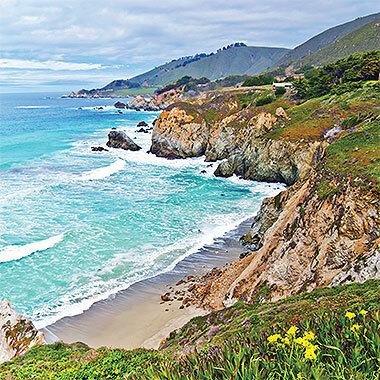 Lush and rocky, this off-the-beaten-path enclave forms part of Julia Pfeiffer Burns State Park. Tip: Park by the side of the highway (near a metal gate) on the ocean side of Highway 1. Behind the gate is a dirt trail with your name on it. The steep half-mile hike down to the cove takes you through a 60-foot tunnel and offers dynamic overhead views of Partington Creek. As you near the cove, you’ll hear the distant boom of the ocean waves. When you finally arrive, a single bench awaits on a small sandy spot overlooking the water. Your pet deserves outdoor romps, too. You and your leashed four-legged pal will dig the mile-long scenic stretch. This mother of all dog beaches is a dreamy off-leash utopia. Your pup will appreciate two of nature’s wonders converging on white sand — the Carmel River and the Pacific Ocean. Long stretches of sandy shores are perfect for fetching Frisbees and diving into the water (leash required). The Carmel River runs through this beautiful park, and dogs are allowed off-leash in certain areas, including the river. Rarely overcrowded and the perfect playland for pets to frolic. Technically, leashes are required for dogs, but you will notice a few off-leash. No dogs are allowed north of the Monterey Beach Hotel. All well-mannered canines are welcome aboard the whale-watching cruise. The former railroad corridor has morphed into the perfect place to walk your furry pal. Tip: Pay attention to cyclists and joggers. Best to stay just to the side of the main trail where there is plenty of room to walk.